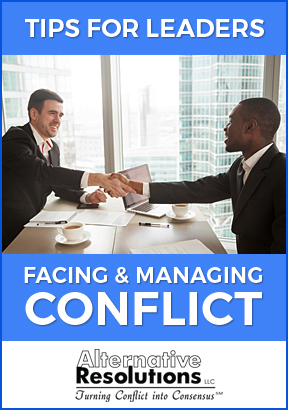 Workplace conflict is generated by a broad range of causes – many are timeless and unavoidable, but some are contextual, related to specific structures, couched in a particular moment in history. Understanding these problems requires more than general doctrines, they require an analytical perspective on the characteristics of that moment. This post is about new challenges and opportunities that come with leading the multigenerational workforces of the 21st century – and how to keep them from breeding workplace conflict. Today, workplaces are faced with a unique blend of generational influences: traditionalists are few (roughly 95% have retired from the workforce), but still occasionally present, often in upper echelons; the infamous baby boomers represent 33% of the workforce, making up a significant fraction of management with mature, developed careers; Generation X weighs in at 32%; and finally, the much discussed Millennials (or Gen Y) are rapidly growing into their professional lives. 33% of the workforce is now made up of these young, dynamic – and for some, utterly confusing – employees. Millennials are bringing new habits, new culture, and new expectations; this presents both leadership challenges and potential causes for conflict. And dissatisfactions are not unidirectional: though millennials largely report that they are comfortable working intergenerationally, one survey found 38% expressing that they feel senior management often doesn’t relate to younger workers. There’s a lot of buzz about the need to understand millennial workers. Says Chris Komisarjevsky in the HuffPost, “Fast moving through the ranks and exerting greater influence in the workplace, [millennials] are now forcing changes in how to motivate and engage with employees. And you can count on that continuing for a long, long time… [We] see this generation as having very different expectations of employers than did their predecessors.” So what are these changes? Millennials are best known for being both tech-savvy and tech-smitten. This has some pragmatic implications, but perhaps even more importantly millennial relationships to information technology seem to give rise to a set of less tangible cultural norms, which have a tremendous influence on their approach to the workplace. They like things at their fingertips. They seek flexibility, and expect to maneuver, learn, and grow through their work experiences the same way they do in their interconnected, networked, technology-facilitated world. A recent PricewaterhouseCoopers (PwC) report claims that millennials place cash bonuses in third place when it comes to their favorite employer benefits, after “personal learning and development” and flexible work hours. Meaning is important, values matter; work should feel worth the time and effort. But millennials tend to be hesitant to communicate directly about problematic issues. They don’t talk, they text. This leaves a lot of room for misunderstandings with fellow teammates and supervisors and potential workplace conflicts. On the other hand, millennials are also known for seeking constant feedback . If someone makes their work a part of their fulfillment, makes it a part of their “self,” invests in learning and growth – this may make them more vulnerable in the workplace, too. It means they see the workplace as an environment intimately related to their personhood. Emotionally, they might be putting a lot on the line. It’s vital for leaders and supervisors to understand this need for feedback and respond appropriately. Don’t use the dump truck method with millennials. Strive to give regular, focused and specific feedback. These millennial cultural norms, however, can also clash with the other sixty-some percent of workers, who are accustomed to traditional hierarchies and more intentional boundaries in the workplace. Millennials may have a blind-spot regarding the long established experience of their older coworkers; they might even be tempted to take a dismissive attitude towards norms that appear to them as antiquated or cumbersome. The challenge is to pull in their new fresh energy, while maintaining synergies with the rest of the workforce. For this, a communicative approach might just be the key. 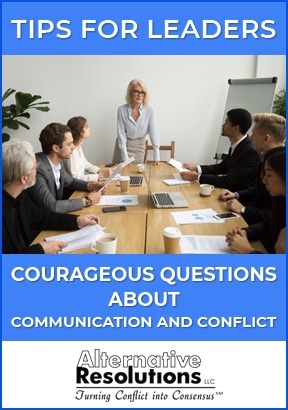 As a mediator and facilitator, I know that workplace conflict is all-too-often the result of poor communication or the absence of timely feedback on performance or behavior. I have spent years helping “traditionalists” and “boomers” through all sorts of conflicts, and as I describe in last month’s Newsletter, the window into a solution very often comes through the deliberate opening of communication channels. So if your millennial employees are rubbing you the wrong way, consider the fact that they might be ready and willing – and even waiting impatiently – to have an open conversation. They might expect you to afford them the space to speak their mind, but in return for that respect you might just find a responsive listener on your hands. Instituting candid feedback mechanisms might have the dually positive effect of helping your millennial employees feel comfortable and gratified, while allowing you to cultivate a positive, loyal relationship and give out constructive criticism or encouragement that carries work goals forward and educates them about their work environment. In the end, we should take care with stereotypes – there has recently been some backlash to the generalized notion that all millennials are indeed “tech savvy” “digital natives.” It may actually be that some young people feel just as clunky with new technologies (or new work cultures) as any traditionalist. Some are even expressing that they find technology “dehumanizing.” So if you find intergenerational conflict cropping up, consider that communication might be your solution. Even if you feel millennials are pushing back with their “informed” opinions, they might also be craving your advice and insights – the kind of knowledge that comes through time and experience, and the kind they probably can’t absorb from their smartphones or computer screens. Ellen F. Kandell is a certified professional mediator and attorney with over 30 years of public and private sector experience. She provides mediation, group facilitation and training to diverse, national clients. Get in touch with her via email, LinkedIn, Twitter, or give her a call at 301-588-5390.